Super Smash Bros. is out Tomorrow! If you play it, who do you Main? Shulk is awesome and apparently the Doctor Strange of the game! Sonic will always be the coolest videogame character! Haven't played Smash since Gamecube. It was fun being Game & Watch and flipping sausages at people. I try to vary it up a bit (Jack of all trades Master of none type of thing), but I usually gravitate towards the weirder fighters like Greninja, Mr. Game and Watch, Wario, etc just due to how fun they are to watch. However, Blue Kirby well always be my main squeeze of the series (although I played Pokemon Trainer a lot in Brawl because Squirtle's my favorite Pokemon of all time.) 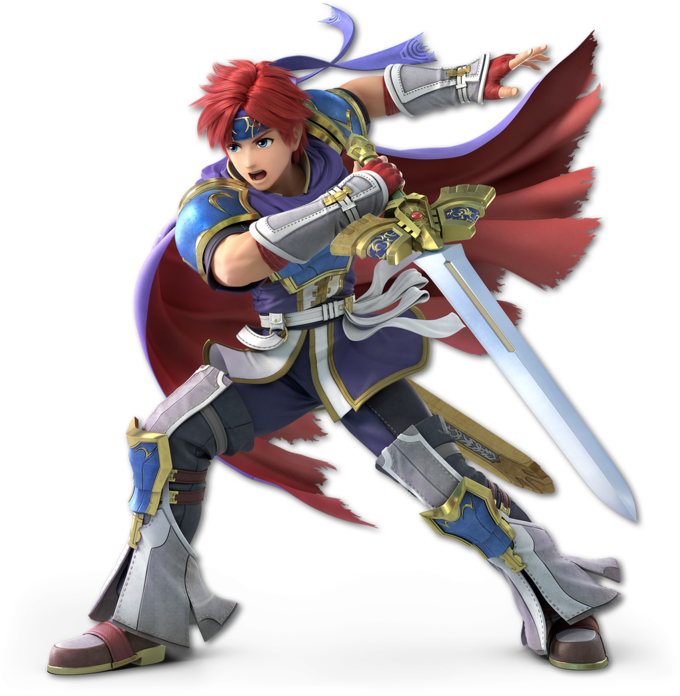 I also mained Mii Fighters and Ryu in Smash 3DS a lot due to how fun they were to play as. 0o0 tsk, tsk. What life have you been living without Smash Bros.? LOL, just kidding. Mr. Game and Watch can be a surprising force to be reckoned with. My sister is pretty pro at him XD. OMG. Pikachu was, indeed overpowered in the original smash bros.Chucking in general was pretty cheap. The launch radius on throwing moves was ridiculous. I also really vary it up a bit, but these are the five I always tend to be the most in any round of Smash I play with friends~! I'm usually fond of the tanky characters like Charizard, so I'm looking forward to Incineroar Think he will be my main. I want to get better at the Villager and Bayonetta as my back ups. About the already existing ones, i will see how Bowser, Rosalina, Peach and King Dedede go on. And probably play all/most of the available ones at least once out of curiosity. All seem interesting. Nah quite a few people were super sad nothing like it was in 4, and were clamoring for it in this one xD it was a highlight of my childhood, for sure! Ice Climbers are back, baby! They were my mains in Melee and Brawl so I'm happy for their return ;u; I don't even know how to do their infinite grab nonsense, I just like ice themed characters so I gravitated towards them. New chars I'm dying to try: Inklings & Chrom! And for Side Knights/Wild Cards include Sonic, Donkey Kong, Diddy Kong, Toon Link, Link, Young Link, and Captain Falcon! I mostly play Melee (RIP my hands, we hardly knew ye) but I'm incredibly excited for Ultimate. I'll either play Simon Belmont (because I grew up playing Castlevania and the nostalgia factor is huge), Isabelle (because she's absolutely precious), or Incineroar. I don't care if Incineroar is complete garbage; I will play him because he is a flaming pro-wrestling cat, and literally every bit of that appeals to me.